Articles like this are made possible by the support of our Deer Patrons. If you like what we’re doing here at The Reformed Gamers, please consider supporting us on Patreon. All images used in the review were captured on my personal Nintendo Switch. Back on the Xbox 360, I played the game, Ikaruga, like a fiend. For those who have never heard of Ikaruga, it is a classic shoot-em-up game that played on the premise of light and dark. This played into the mechanics as, depending on which one your ship was, you could absorb projectiles that the enemy ships would shoot at you. These would then be turned into energy that would power up your ship. I don’t recall the exact number of hours I put into Ikaruga but I can assure you: it was a lot. Since then, I’ve loved the shoot-em-up genre, or more commonly referred to as “shmup”. Imagine my delight as I’ve noticed that the Nintendo Switch has been receiving a steady stream of these types of games since it’s launch. Recently, Danmaku Ultimate 3 landed on the system. Since this is our first game review on the site (at least post-site refresh), here’s a breakdown of our reviews: Story, Gameplay, Sound, Verdict. 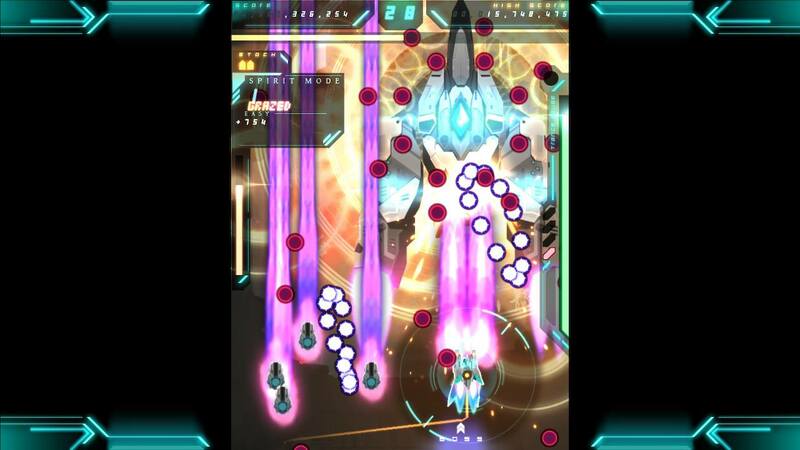 Danmaku Unlimited 3 is your standard shmup. This means that what story is there is barely noticeable, if non-existent entirely. Why are you flying around, shooting enemy aircraft? Because they’re shooting at you. If we are honest, no one plays shmups for the “story”. While Danmaku Unlimited 3 may seem like your average, run of the mill shmup, there’s subtle ways that the gameplay makes itself set apart from other entries in the genre. You have the basics of moving around the vertical screen, dodging enemy fire while unleashing a furious stream of fire to decimate your opposition. It’s fast, frenetic, and it requires some twitch reflexes to escape some truly tight situations. Where the gameplay has subtle changes in it’s GRAZE mechanic. GRAZE is measured by a meter on the right side of the screen. To fill this meter, you’ll need to come fairly close to touching enemy fire without actually getting hit. Your ship receives the energy from enemy fire to fill the gauge that culminates in the Super Saiyan equivalent of your ship firing everything it has in a ballistic salvo of lasers. And yes, the lasers turn the Super Saiyan signature yellow. This mechanic encourages a high-risk, high-reward style of gameplay. I found myself often flying into the thick of enemy fire just to fill the gauge. While I managed to escape without a scratch to launch a destructive payload of lasers at the enemies, this mechanic may be more difficult to get the hang of for newcomers. Or it may be incredibly helpful. It all depends on how well you handle the pressure. The problems with Danmaku Unlimited 3 lie in the amount of things going on on-screen at any one time. The game eases you in easily enough with a manageable amount of enemies and fire. But towards the end of Chapter 1 and into Chapter 2, the game pushes you out of the hangar into the thick of the fight. But as overwhelming as this sounds, the GRAZE system helps immensely. The game is also highly customizable as well. You can max out your lives up to 5 for your play through. Each life comes with 2 ships, for a total of 10 lives. Combine this with varying levels of difficulty and you have an experience that caters to your specific play style. If you’re new to the genre, you can play with a suitable amount of difficulty. If you’re a veteran and like snapping your Joy-Cons in half, you can take on the remarkably painful “TRUE” difficulty. But beyond the main “campaign”, there is not much to keep people playing the game. You have a Boss Rush mode, Time Attack, and Free Run which are all nice additions. But the hefty requisites to unlock new weapons and special weapons require so much of a grind that, to me, felt like not enough reward for the time invested. You can play through the main campaign in under an hour so whether or not these extra modes and multiple playthroughs will vary between gamers. When the first chapter starts, I was greeted with a guitar riff that took me right back to middle school where I first got into punk rock, Pillar hard rock (c’mon, you remember Pillar). I found myself really enjoying this shift to a more hard rock emphasis in the music as I’m normally used to trance/techno style rhythms to get me through each mission. The hard rock emphasis is used in a way that’s designed to keep you pushing forward. As the music swells, and the tempo picks up, the enemies start flooding the screen and it’s an absolute thrill to make it through those sections. But after awhile, the music felt dated in parts. While I personally enjoyed it, I couldn’t help but wonder how a more modern, electronic soundtrack would have fared. 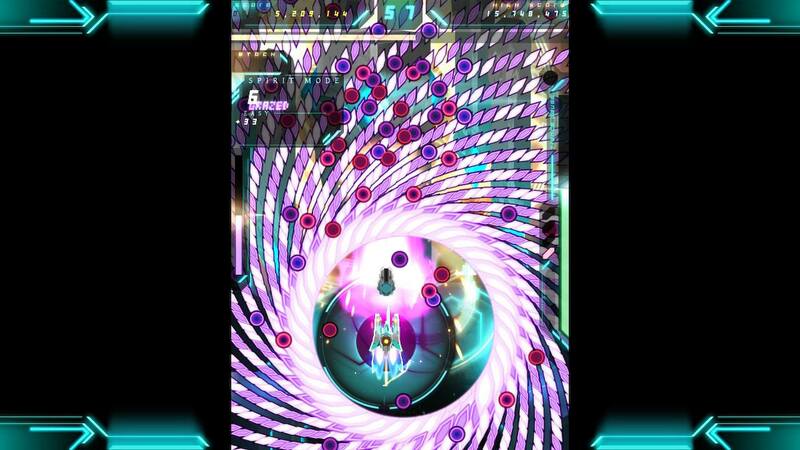 Danmaku Unlimited 3 is a lot of fun and a great game to start with if you’re interested in the shoot-em-up genre. The music and visuals are all vibrant and energetic, even if a bit dated. I’ve clocked in shy of 4 hours in the game, having completed the Story Mode, done several Boss Rush challenges and Free Play. While it works well as a “pick-up-and-play” title for the Switch, and I have enjoyed it, it’s not a game I can see everyone enjoying. 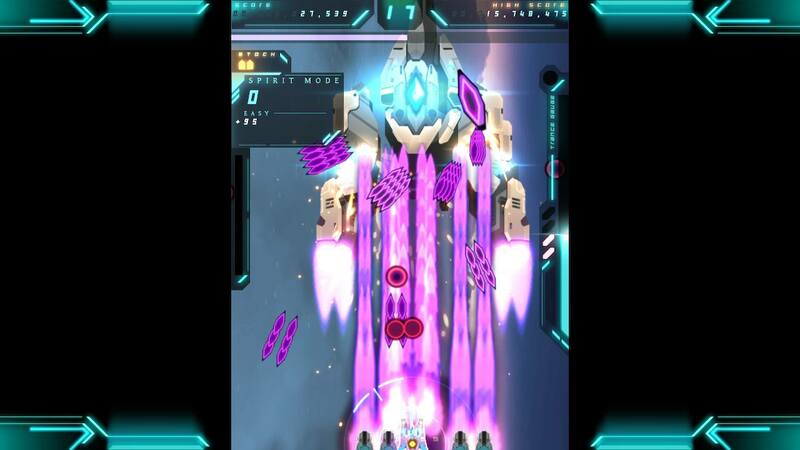 But if you enjoy shoot-em-ups, or are curious about the genre, you can’t go wrong with Danmaku Unimited 3. Danmaku Unlimited 3 is available exclusively for the Nintendo Switch and is available for $9.99.